Want a Fanta? Not in Israel: for the second time, Fanta website spotted listing 'Palestinian territories' - but not Israel. Cola company Fanta is in hot water on Tuesday, after it left Israel off the map of its website - despite listing the Palestinian Authority (PA). 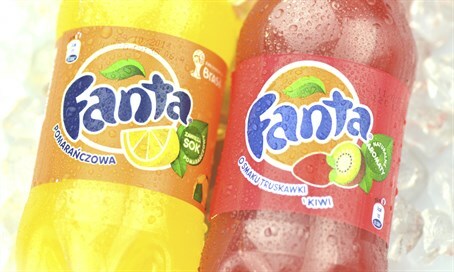 Fanta, owned by Coca-Cola, does not have an Israeli website, but does have a Hebrew Facebook page and YouTube channel. One of Fanta's Israeli YouTube ads was among the most-watched in Israel in May 2015, according to Globes. The drink remains ubiquitous on store shelves and in restaurants nationwide. Israel is still listed on parent company Coca-Cola's website. A Coca-Cola representative stated to Arutz Sheva Tuesday that the issue is a matter of the site's layout. "We apologize for any confusion," a spokesperson stated. "The countries list does not show all 188 markets where Fanta is sold, just those that have chosen to use Fanta.com for their home page." "In 2013, we added the full list of countries where you can find Fanta on the ‘About’ tab of our Facebook Page," he added, as seen in the image below. Arutz Sheva attempted to clarify with representatives what that means, and was asked for time for representatives to investigate the issue. This is the second time in two years that Fanta has been spotted erasing Israel from the map. In 2013, Fanta's website was also spotted listing just the "Palestinian territories" - a move it claimed was an "error" after a boycott campaign from Zionist creative writing group “Poets for Israel." Cynthia Blank contributed to this report.